Home » How to Prepare for a Relocation from San Francisco to England? How to Prepare for a Relocation from San Francisco to England? Years back, moving to a new home was a very common process while relocating to another country was something pretty rare, and so, only those who had to leave or wished to escape their countries would go through such a process. Nowadays, as the world steadily goes global, boundaries between countries blur, lots of major companies operate abroad, and more and more people relocate their residence due to career related circumstances, but also due to other reasons, such as the dream to work and travel abroad. If you’re also planning to relocate, let’s say for example, from San Francisco to England as many do – here are some tips to help you enjoy a smooth move. This is not an option everybody can afford, but if you can, we do recommend traveling to the country you desire to move to in order to explore it and choose the precise place you want to move to – you can even try and find a house or apartment during the trip. Maybe there are a lot of international moving companies in San Francisco, but you do not want to wait for the last minute – make sure to check international moving companies beforehand and find the right company for you, which is also available for the date of the relocation. When moving to England, or any other country for that matter, you have to hold the required permits and visas in order to become a legit resident of the country. You can ask your moving company in order to better understand what you need to prepare. If you move due to your employer’s request, they will probably prepare the work permit for you. Help your kids understand what to expect in the new country. Talk to them about their concerns and try to show them everything you can about their new home – you can use the internet to explore the new country together, as you can even look at the new neighborhood, schools, playgrounds, and more. In order to make sure you don’t forget anything, it is always recommended to prepare a full list with all the things you have to do and prepare before and during the relocation process. Having an organized list will ensure the process goes a lot easier for you and for your family. 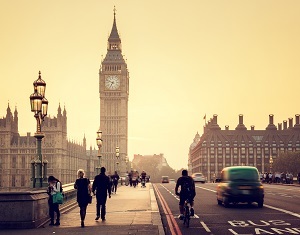 Living in the UK will open up your world to endless possibilities. When is the Best Season to Relocate to England with Your Family? Why You Should hold a Garage Sale Before Making an International Move to the United Kingdom? SDC International Moving started out as a small company and has grown into one of the most trusted names in international moving and shipping today.